This blog post could probably also be titled, "Why I Let Go Of A Dream." In February, I was awarded the prestigious Matthew Baxter III Award to attempt to become the first solo woman to fastpack the Drakensberg Grand Traverse. I was encouraged by my personal history in the area, having studied abroad at the foot of the Drakensberg mountains for a year in college. I was inspired by those who had come before me. I was motivated by challenging the idea of wilderness as gendered space - that men are the first-timers and groundbreakers in wild places. 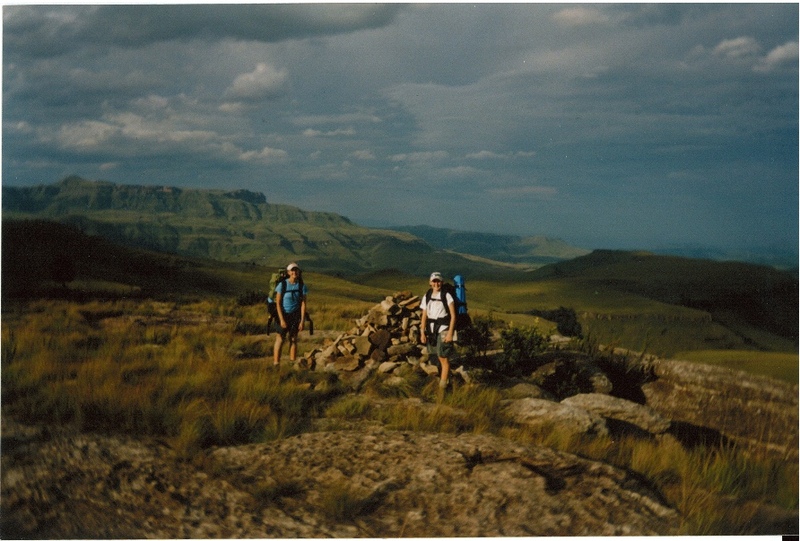 Becca and I explore the 'Berg in 2003. The locals...as already mentioned, can be a problem. For the most part they are friendly, but we have encountered aggression before. And most of their crimes would be opportunistic. Unfortunately a lone female is a very good opportunity. I mulled their thoughts for several months, trying to balance the perception of safety versus the reality. My experience with South Africa taught me that perception does not always match reality when it comes to risk and violence - there is a sensationalism to violence that pervades the culture. Then again, I trusted the words I was told, was aware of a couple of violent incidents in the 'Berg, and later learned that gendered violence is significantly higher in South Africa than other parts of the world. I explored alternatives to my proposal that would allow me to do it, but none felt right - being accompanied would be antithetical to my goals, while carrying a weapon would be contradictory to my values (and potentially more dangerous). I began to lose a lot of sleep playing the odds over and over again in my head: "Well, chances are, I'll be fine. But what if I'm not? Am I courting disaster? Am I courting violence? But chances are I'll be fine..."
One night, as I spun the odds once again, I had the thought, "What if I didn't go to South Africa at all?" The wave of calm that came over me was immediate and unambiguous. I let my DGT dream go. Fear of violence is one of the most frequent queries I get about backpacking alone: "Aren't you afraid someone will attack you out there?" It makes me sad that your wildest of places are unavailable (psychologically, if not physically) to the intrepid solo woman and I realize what great privilege I have living and working in a national park where I feel free to roam to my heart's content. I hope that one day your mountains will feel safe enough for everyone and that the economic disparity that fuels such acts of opportunistic violence is leveled out. I would be remiss if I did not also highlight the incredible amounts of kindness and friendship I encountered while living in South Africa, across genders and races. My biggest fear is that someone walks away from reading this article with a more-engrained stereotype of Africa being a scary place. 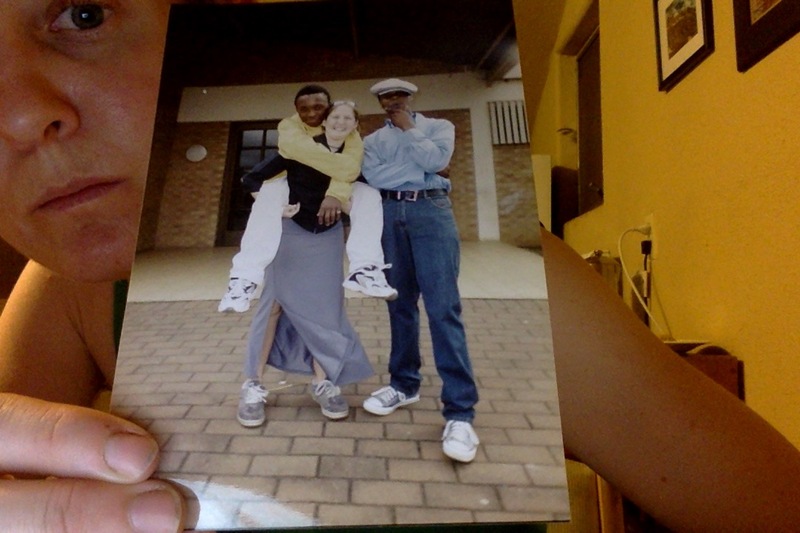 On the contrary, I wanted to return to SA because of the incredible experiences I had there and the people I wanted to reconnect with. It is worth noting that there have been a small handful of high profile cases of women (and men) being murdered or attacked in the outdoors in the U.S. In reality, the chance of getting attacked while backpacking solo in the U.S. is probably close to infinitesimal. It is certainly orders of magnitude lower than the risk of getting hurt while driving a motor vehicle and I don't think I've ever heard someone say, "Aren't you afraid of getting into an accident?" to someone about to drive home. Perception of risk is a goofy thing, though. Despite data that shows that violent crime is the lowest it has been in 50 years in the United States, people consistently estimate that crime is up. Quite understandably, women feel particularly vulnerable to crime - an astounding and confounding one in three women will experience sexual or physical violence in her lifetime. The vast majority of those attacks are by an intimate partner. So, the feeling of vulnerability is real, even though the risk of being attacked in wilderness is still very low. There is much work to be done around structures of power, privilege, and violence as it relates to women. It is more important than ever for young women to value their right to be solo and self-sufficient in the world, to not accept the plight of vulnerability meekly, to be strong and confident enough to stand up and say, "This needs to change." That's not to say that women can overcome the feeling of vulnerability simply by willing it so. Women and men need to continue to make this world a safer place to be, where women don't have to feel vulnerable simply because of their gender. This is part two of a three-part series on fear. This blog addresses fear of danger from other humans. Part one focused on fear of environmental factors, while part three focuses on fear caused by a lack of confidence in our own abilities. Bachelet, Michelle. "Making Cities Safe for Women and Girls." The Guardian. Guardian News and Media Limited, 21 Feb. 2013. Web. 9 Nov. 2015. Branas, Charles, Therese Richmond, Dennis Culhane, Thomas Have, and Douglas Wiebe. "Investigating the Link Between Gun Possession and Gun Assault." American Journal of Public Health. U.S. National Library of Medicine, 1 Nov. 2009. Web. 9 Nov. 2015. Calkins, Kelley. "10 Shocking Statistics on Gender-Based Violence." The Borgen Project. The Borgen Project, 30 Dec. 2013. Web. 9 Nov. 2015. Eisen, Lauren-Brooke. "America's Faulty Perception of Crime Rates." The Huffington Post. TheHuffingtonPost.com, Inc., 16 Mar. 2015. Web. 9 Oct. 2015. "Facts and Figures: Ending Violence against Women." UN Women. UN Women, 1 Oct. 2015. Web. 9 Nov. 2015. "Study Reveals Extent of Gender Violence." SouthAfrica.info. SouthAfrica.info, 5 Dec. 2012. Web. 9 Nov. 2015. Swift, Earl. "Murder on the Appalachian Trail." Outside Online. Outside Magazine, 2 Sept. 2015. Web. 9 Oct. 2015. Sorry to hear about the end of the DGT dream, but I think you made a well-reasoned decision. I have found myself more cautious when traveling these days than I was when younger and much more willing to listen to the council of those with more experience living in a place. I'm sure you will go on to find more adventures that are right for you.